My father was raised in Denmark and his very favorite food was pølser. The best way to describe it is a long, skinny, red hot dog although it doesn't taste like an American hot dog. 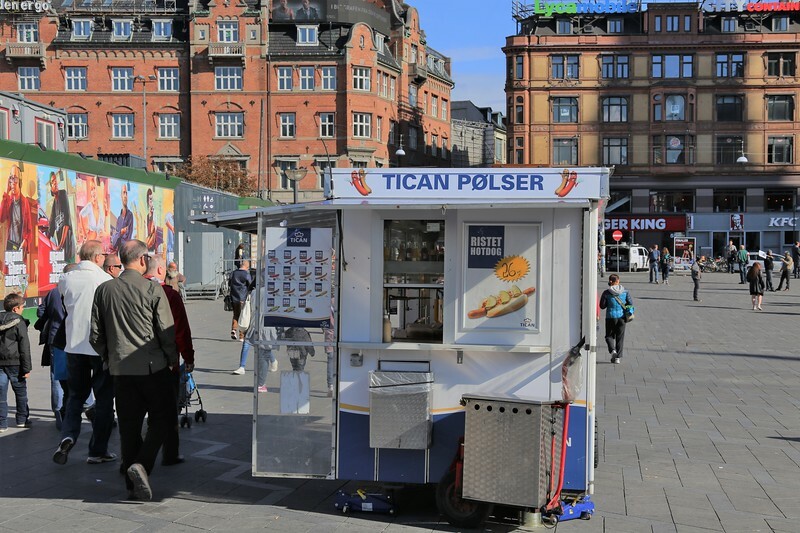 When he came to visit Copenhagen the first stop we made was a pølser stand. Dad was in heaven!! So, this photo is for you Dad!